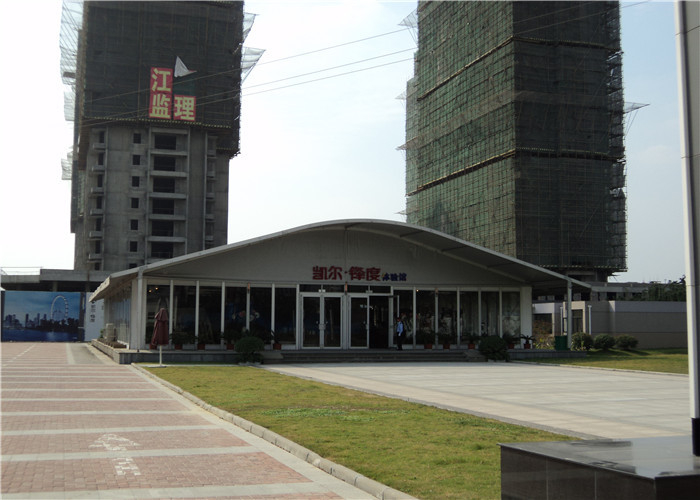 The heavy duty large curved glass wall tent is comparative stronger and more luxury than ordinary PVC tent. The inner space is more quiet and comfortable. Roof cover will remain as PVC fabric, thickness between 750-850gsm. The main structure will be highly extruded aluminum alloy, anti rust and very durable. Life span will be over 15 years. 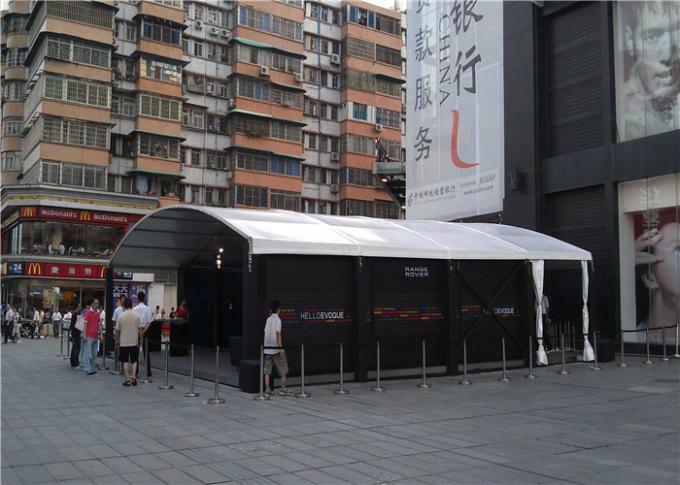 The heavy duty large curved glass wall tent is strongly recommended for outdoor high level usage, such as temporary house-estate promotion building, luxury brand sales promotion, high standard fairs and exhibition, luxury lodge and resting room., etc. With glass walls for all the side walls, it can give customers a comparative closure and quiet space as in real house building. 1. It is more attractive in appearance. 2. It is easy to set up as well as to dismantle. 3. Material is very strong and durable to against big rain and big wind. 4. More Eco-friendly as it can be quickly moved away after used, so it won’t harm environment. 5. Much cheaper than real estate and building.